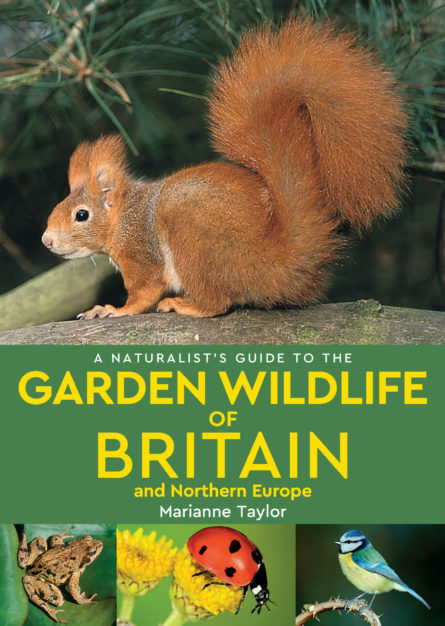 A Naturalist’s Guide to Garden Wildlife is a photographic identification guide to 280 species of wildlife most commonly found in the gardens of Britain, Ireland, and other parts of Northern Europe. The guide includes sections on birds, mammals, reptiles and amphibians, butterflies, moths and other insects, spiders, trees & shrubs, wildflowers , and fungi. An informative and user-friendly introduction includes useful advice on how to attract wildlife to your garden. Marianne Taylor has been a lifelong wildlife enthusiast with a particular interest in birds. Now a freelance writer and editor working on natural history books and magazines, she previously worked at bird book publishers Christopher Helm, and at Birdwatch magazine. Her previous publications include The Nature Book, Where to Discover Nature in Britain and Northern Ireland, and Photographing Garden Wildlife. About the photographer Paul Sterry is one of the UK’s leading wildlife and natural history photographers, with more than 40 highly successful books to his name. Originally trained as a biologist, he uses his knowledge of natural history and ecology to take images that serve to depict wildlife in a natural context, and to celebrate its beauty. Specifications 180 x 128mm / 7” x 5”. Extent 160 pages 40,000 words approx.c300 colour photographs.